Provide comfort for the family of Henry Niemesz with a meaningful gesture of sympathy. Henry B. Niemesz, 75 , of Streamwood and formerly of Mundelein, husband of Karen, nee Knop; father of Shari Niemesz, Terry (Brian) Waters, Eric (Rhonda) Niemesz and Michelle (Karl) Welti; step father of Dawn (Brad) Cox, Carole (Walter) Altmann and Kim (fiance Undra McKinney) Rueter; grandpa of Scott (Michelle), Angela, Christopher, Amanda, Rebecca, Ashley, Eric, Jr., Austin, Shane, Alexis, Logan and Brooklyn; great grandpa of 6; brother of Hanna (Donald) Bynum, Claudia (Gerald) Carson. Henry was preceded in death by his first wife Carol Mae Lindsey; his parents, his sister Gita Wallett and a great granddaughter Hannah Joy. Visitation Sunday, March 17th, 3:00 pm until time of service 7:00 pm at the Countryside Funeral Home and Crematory 1640 S. Greenmeadows Blvd. (at Barrington Rd.) Streamwood. Interment Monday, March 18th, 1:00 pm graveside service at Ascension Catholic Cemetery 1920 Buckley Rd. Libertyville, Il. In lieu of flowers donations to the charity of your choice would be appreciated. Carol and family, Sorry for your loss. May loving memories fill your heart with joy and bring a smile to your faces. God speed. 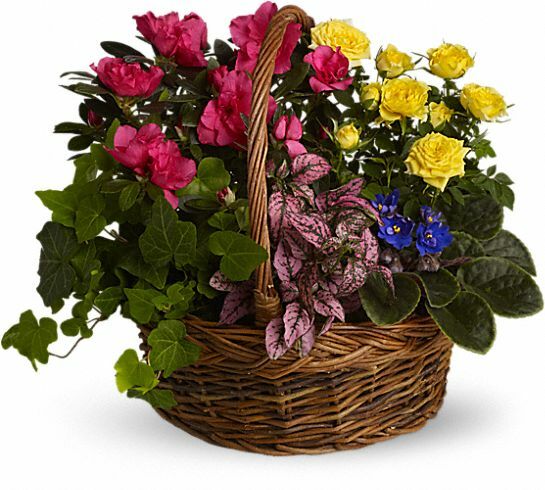 Nancy, Robin, and Coni purchased the Blooming Garden Basket for the family of Henry Niemesz.